Dr. Cunningham directs research embedded in a strong collaborative effort with chemists, cell biologists, preclinical and clinical scientists to discover key neuromolecular targets that may be exploited toward the goal of improved diagnostics and therapeutics for substance use disorders (SUDs) . Dr. Cunningham has established a multitude of new cellular, behavioral and molecular tools to study SUD systems and to explore the biology of novel neuroprobes developed by our chemistry collaborators. The National Institutes of Health has funded her research progress for over 25 years. Dr. Cunningham has generated seminal observations, new technologies and patents which are described in 160+ peer-reviewed publications and 30+ reviews and book chapters. She has cultivated and sustained a life-long commitment to fostering the career development of new scientists with over 45 mentees who have successful careers in academia, industry and government. She founded and created the vision for the Center for Addiction Research (CAR) at the University of Texas Medical Branch, implementing key strategies to expand research and mentoring activities in the addiction and related sciences. She is committed to increasing diversity in science and was chosen by the NIH Office of Diversity and Health Disparities to participate in the Diversity Supplements Workshop in 2017 and 2018. Her research and mentoring contributions have been recognized by the Astellas Award for Translational Pharmacology (American Society for Pharmacology and Experimental Therapeutics), and the Marian Fischman Memorial Award and the Mentorship Award from the College on Problems of Drug Dependence. 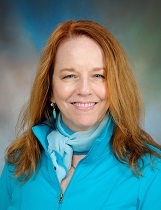 Dr. Cunningham is Associate Editor of Nature Neuropsychopharmacology; Councilor, Board of the American Medical School Pharmacology Chairs; Councilor of the American Society of Pharmacology and Experimental Therapeutics, and an active educator, mentor and board member for community programs in her area. Cunningham, K.A., and Anastasio, N.C. Serotonin at the nexus of impulsivity and cue reactivity: Implications for prevention and therapeutics in cocaine addiction. Neuropharmacology 76: 460-478, 2014.